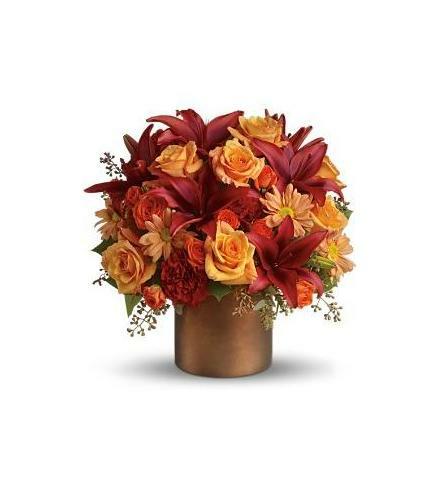 Gorgeous orange roses, spray roses and chrysanthemums, dazzling asiatic lilies, red carnations, and even preserved yellow oak leaves are splendidly arranged in a suitablele vase. It's amazing, all right!. Celebrate Fall with the Amazing Autumn.